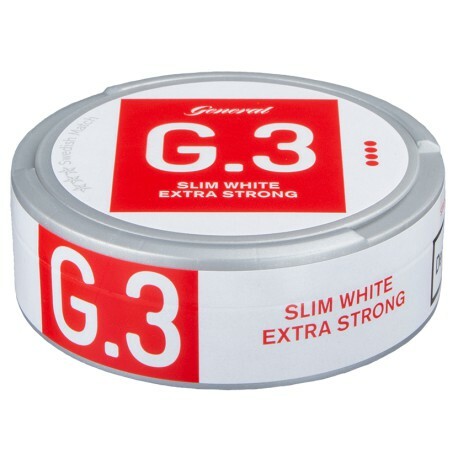 G.3 Slim Extra Strong has a unique format, a perfected recipe and new design, but it still has that distinct flavor of a General snus. With an optimized fit plus a softer and drier surface, G3. White Extra Strong has that perfect balance - long lasting and full flavor but low drip. I was able to try this in Norway. It has the familiar aroma and flavor of General Classic White Portion. The tobacco taste is mild, but the nicotine hits much harder than standard strength snus; it gives you the best of both worlds: it’s mild tasting while having a strong effect. The slim portions are also very comfortable in the lip, an improvement over standard snus portions. Great bang for the buck. Not runny at all! I love this snus...strong, great flavour, and comfortable. This is my everyday go to Snus. I have now given up on every Snus except this one. Perfect size, flavor, strenght, feel, design...I couldn’t have asked for a better recipe. I always come back to this one,great taste! Wurde mir von einem Kollegen empfohlen, der Geschmack mag für einige etwas speziell sein, mag ich jedoch sehr. Für mich wieder fast zu schwach, aber trotzdem empfehlenswert. Der einzige Snus den ich Tag ein Tag aus konsumieren kann. An alle anderen gewöhnt man sich zu schnell. Found this snus in the arrival duty free in Oslo. Bought it, tried it, love it! 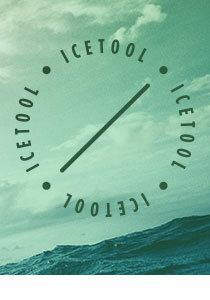 Great snus for everyday use. A bit stronger than normal snus and not at all runny. Nicht zu stark, nicht zu schwach! Mein Favorit, saug gut! Perfekt! My secound Snus I tried, and now my all time favourite! I love it this Snus got the perfect strength, it doesnt get wet that fast and its taste is awesome.